Born and raised in Southern California, I've been a photographer since I was 16. I first picked up a camera in high school. After spending a year trying in vain to learn computer science I chose to formally study photography instead, earning my bachelor's degree from Cal State Fullerton. While in school I won an honorable mention in the Nikon International Photo contest, which was quite an honor considering the huge number of entrants. I've just recently begun showing my photographs.  My work has been included in group shows at the jFERRARI Gallery, the Pasadena Art Walk and the Los Angeles County Municipal Art Gallery. I work with both film and digital capture. My grounding in traditional photographic processes enables me to capture images that speak to me, while the new digital technologies make it much easier to translate those images onto paper. My passion for photography started early, and continues to this day. We are surrounded by beauty in many forms. Sometimes obvious, other times less so. There is a distinct beauty in the patterns, large and small, formed by nature. Beautiful surprises await in tiny things. There is a subtle beauty in things which are flawed, broken. There is a tragic beauty in things that are in the process of disintegration; melting, rusting, eroding. My goal, through my photography, is to preserve those neglected moments that are so easily overlooked. Whether in a place of grandeur like Zion National Park, or a place of desolation like a junkyard, I look for the small details that contain those critical moments of beauty. I especially like to capture images that have a certain energy to them; a visual rendition of the life force that flows around us. The first step in my process is to stop . . . stop trying, stop thinking . . . just exist, in the moment, and open my senses to my surroundings. I filter out the distraction of the easy subject and look for that which others will miss. I find that one detail that calls to me, and then apply my tools to capture the essence of what makes that moment special, for I know that even the most permanent subject will be changed or lost with the passage of time. Once the image is fixed, on film or in pixels, I work to refine it, eliminating the distractions and enhancing contrast and tone to distill the image to its most essential elements. The changes I make, however, are minimal. I prefer to reflect my subjects as they were when my camera captured them. What I reveal in my photographs, I hope, is what I saw and felt at that moment.